The Future of Higher Education | Econsult Solutions, Inc. It is easy to state that higher education will be different in both the short- and longer-term. What is taught and how it is taught will not be the same. Institutions are continuously changing curriculum. New programs are being offered in every discipline. Online is old hat, while hybrid is main stream. Alternate reality, artificial intelligence and augmented reality are quickly becoming part of the learning environment. Arguably these are changes that are necessary and will continue. Education may have been slow in adopting online, but now seems to have stepped up the pace in using new technologies in teaching and learning. What values are associated with higher education? Looking at the mission and value propositions as well as the outcomes and assessment statements of colleges and universities, there are declarations about providing global perspectives, ethical standards, teaching to the fields of tomorrow, and education focused on critical thinking skills in application-oriented settings. Keep in mind that these values are often developed from surveys of students and employers and approved by board-of-trustee members; all of whom are the very constituents served by higher education institutions. One would presume that institutions design the curriculum that meet their needs now and into the future. 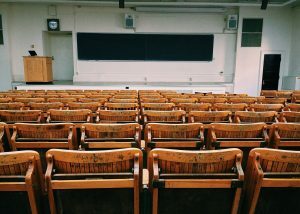 Higher education relies on the constituents it serves to design the educational products it offers and has a process in place to continuously monitor the educational experience and the outcomes. If this is the case, then it could arguably be stated that higher education meets the needs of its constituents. Rankings of colleges and universities are based upon time-to-completion – how many years does it take for students to earn a degree; placement rates not just in any job, but in the chosen profession, and starting salaries. Are these criteria and other ranking criteria what we should use to measure the success of an institution? If these are the primary measures of success, could we design a system that could provide the values we hold at a faster rate and yield higher placement rates at higher rates of pay? Inarguably, people attend college for very different reasons than in 1900 or 1950. Curriculum has changed. We no longer study Latin and programs tend to be focused on specific professions. Nevertheless, approximately fifty percent of current undergraduate programs, traditional bachelor’s degrees, are devoted to ‘general’ education or liberal arts. Many believe that language, history, geography, philosophy and other studies are critical to understanding the world in which we live, yet ‘whole person development’ and maturation are not part of most mission statements, nor part of the value most students attach to higher education. More often the refrain is, why do I have to take that course? Higher education is focused now, more than in the past, on preparing their graduates for the work force. This is no longer the purview of so-called technical schools or apprenticeships. This may mean that we trim the curriculum and focus simply on the professional components. In doing so, it may be possible to reduce the time to earn a bachelor’s degree to two years. There are some approaches that can be used to reduce the time pursuing a professional degree. One is to apply ‘prior-learning’ experience. This is in the form of advanced placement courses and exams and college courses that students complete while in high school or a portfolio review of professional experiences. Another is to focus on competencies, rather than seat time1. Students can earn badges or some other credential to demonstrate competency in a specific area. 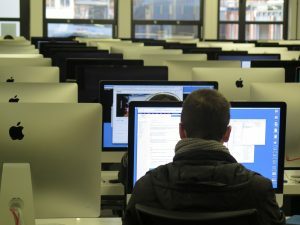 There are a few examples of institutions, such as Western Governor’s University that use competency-based curriculum to reduce the time needed to earn a degree. Others argue for using a completely different model. Many European and Asian higher education systems are bifurcated. Students apply for university and those not accepted to university attend a technical school. Given that the United States is founded on egalitarianism, doing this would require a major cultural shift. What will college look like for entering students in five years? There are financial pressures that will continue to force many smaller schools to merge or close. Large, well-endowed schools will continue to add new classroom and dormitory facilities. Curriculum will continue to change with new programs with unheard of titles and will incorporate new teaching and learning technologies. By-and-large, the colleges and universities will seem relatively unchanged in five years. Higher education is slow to change, but there is a recognition that the old business model of increasing tuition to pay for additional services, more faculty and small classes is no longer feasible. The bigger change will occur over the longer term. We see ‘degree creep’ happening in many professions; where a bachelor degree is no longer accepted as a professional entry requirement and now a master’s or even doctorate degree is required. In 25 years, a student’s higher education will involve the design of micro-degrees or credentials that require much shorter periods of study, but that take place over the life of one’s careers. The bachelor’s degree may not be dead, but it is on life support and we will push college earned credit down into the secondary-school level and accept more competencies earned outside the classroom. Lloyd Russow, Ph.D., is a senior advisor at ESI. Dr. Russow is a professor and associate provost at Thomas Jefferson Unviersity. 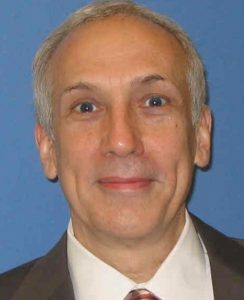 Dr. Russow is an academic entrepreneur who assists institutions of higher education in program identification and development; assessment of program profitability; enrollment enhancement; resource allocation and other strategic initiatives.